You are here: Home > Blog > Community use > What a Difference a Wood Makes! Until late in 2009 West View Project was an outdoor activity provider & youth centre that worked mainly with children who struggled in school or with schools, who wanted fun outdoor activity provision - such as canoeing & rock climbing. Since then a lot has changed and the main driver of this change has been due to the impact of having unrestricted access to woodland. It was a very steep learning curve as we had no firm plans what to do with a wood or indeed how to manage one. Over a very cold winter we read blogs and websites, found tools and basic equipment and also began thinking about what groups could do in a wood. Initially, we continued to work with the same groups and schools using the wood as a venue to deliver team building sessions and to allow older groups to sit around the fire area we had created which gave a great opportunity for conversations and group discussion. We also realised that a lot of the early years/foundation stage curriculum was compatible with the outdoors and that many primary school topics could be linked to activity that could take place outdoors. With this in mind we began talking to schools that we knew well to get their views and following this we took some groups to the woods to simply explore or read a story, and the feedback was incredibly positive and the most commented on thing was the environment. 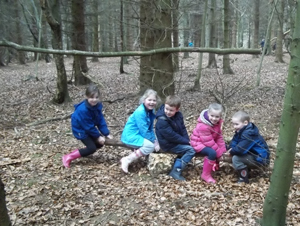 The obvious next step for us was to look at the forest school methods of engaging young people in outdoor learning, which we have done thoroughly and now have two trained L3 forest school practitioners & have registered as a centre to deliver Level 1, 2 and 3 forest school leader training. When we first started to use the woods as an organisation we worked with around 3000 children and young people a year, in the 12 months to March 2013 we worked with 4500 and will increase that this year, most of the increase is due to the woodlands. 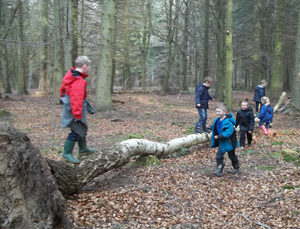 In fact, in previous years we had delivered a large volume of water activity and days that involved pupils staying at school, where now more than 65% of the groups we work with in the outdoors access the woods. 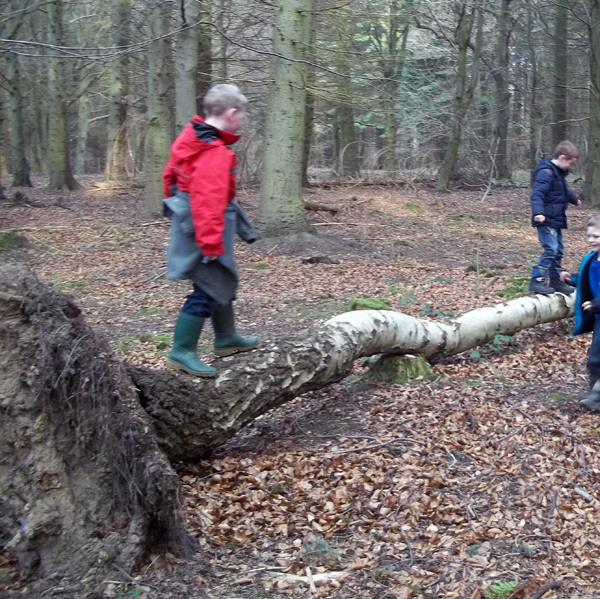 There are a number of reasons for this, the changing attitude to outdoor learning, the non-threatening nature of woodland based activity in a risk-averse society and the broader age/ability range we can now cater to. Some of the biggest users of our forest activity are groups who previously would have been too young to participate or physically unable. Having the access has also changed us as an organisation, it has broadened the number of schools we work with, has given our staff new skills and knowledge and has given us a new found respect for the environment around us (looking after something does that for you). While undoubtedly some of the changes we’ve undergone would have happened anyway having access to a wood has breathed new life into our organisation, has improved the experience of school for 100’s if not 1000’s of children and has hopefully sparked a lifelong interest in looking after the environment for some. If you’re at all nervous about taking on a wood or woodland based project the best advice I could give you is jump in and then start planning later, it certainly worked for us. Chris Wise – Development Manager, West View Project Hartlepool. Feel free to send me an email to the address above. I’d like to ‘guest post’ this on my own blog if that would be possible. I think its a very positive piece of evidence for forest schooling and wood ownership in general. This is a really positive story & ought to be re-posted onto other websites.